Choose a category below and browse to access reliable information that will help you in your work. You can also search for a specific set of resources by entering keywords in any of our search boxes. 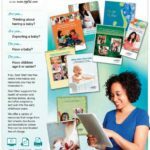 All resources on this website can be accessed for free in at least one format. Some resources can also be purchased in high-resolution formats, to be printed in large quantities. 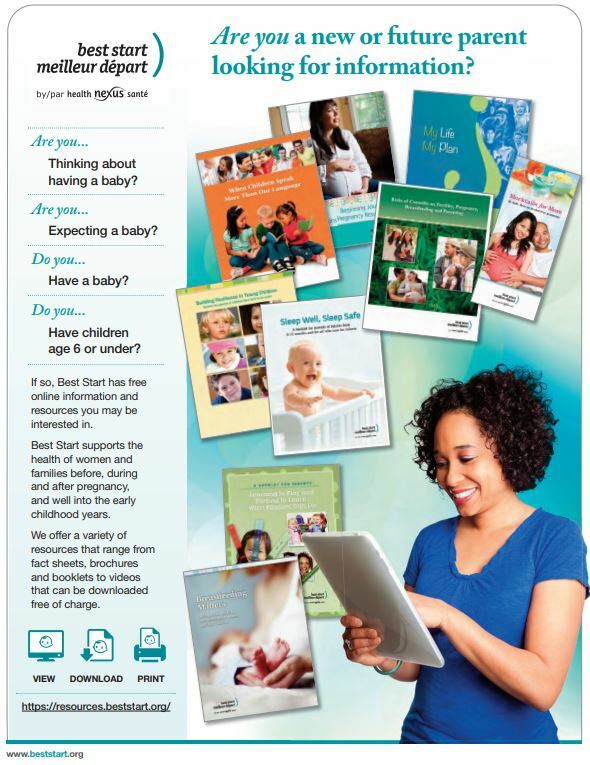 Share the link resources.beststart.org/for-parents or download and print this bilingual flyer for your clients to let them know about the free online information and resources provided by Best Start. Watch the webinar recording below (Youtube or Vimeo) to learn more about the why, the who, the what and the how of Best Start’s Online Resources Platform. The visit of the platform starts at 16’40. Adapt our Resources to Meet your Needs! Organizations can request to adapt Best Start resources to meet their own needs, based on certain straightforward conditions. Request permission to adapt Best Start materials by email clearly indicating the resource(s) of interest, the changes you would like to make, and how you plan to use the adapted resource(s). A letter of agreement will be prepared by the Information Specialist. Review the letter and return a signed copy to the Information Specialist. An adaptation fee of you plan to modify the resource. This fee varies depending on the resource. A transfer fee of 50 CAD if you need access to our designer files (see below for details). A revision fee if your adaptation requires major input from Best Start staff. This fee will vary depending on the extend of Best Start’s involvement. Once a signed letter of agreement is received, Best Start can provide you with the electronic designer source files of the resource(s), if required. These designer source files will be in the format the resources were originally produced. You may need assistance from a designer or professional printer to manipulate these designer source files. Any costs and arrangements regarding formatting or editing of these designer source files are born solely by the organization making the changes. All adapted resources must be approved by Best Start prior to being produced/distributed and must include the approved acknowledgement text, as stated in the letter of agreement. All costs for revisions and printing are born solely by the organization making the changes. Contact us by email to learn more!